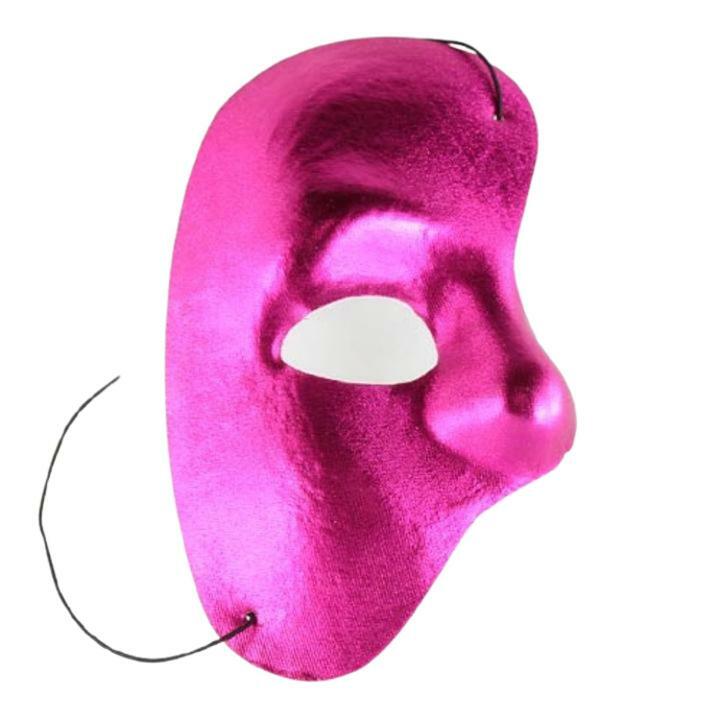 Sturdy plastic half masks available in extensive range of colors to suit your costume. This stunning satin like mask covers the right half of the face leaving the mouth completely exposed a la the Phantom of the Opera. The attached elastic strap provides a comfortable fit. One size fits most. Checkout our party mask section for animal print masks and dual color venetian mask.